Roger Federer has had a very strong season in 2014. Roger Federer will face Jo-Wilfried Tsonga in the final of the Rogers Cup after both players recorded straight set victories in their semi-finals. The Swiss, who is aiming to win the 80th title of his career, defeated Spaniard Feliciano Lopez 6-3 6-4 while the Frenchman comfortably beat Bulgarian starlet Grigor Dimitrov 6-4 6-3. The final of the Toronto Masters will be Federer's 120th of his career, while it will be Tsonga's 20th. 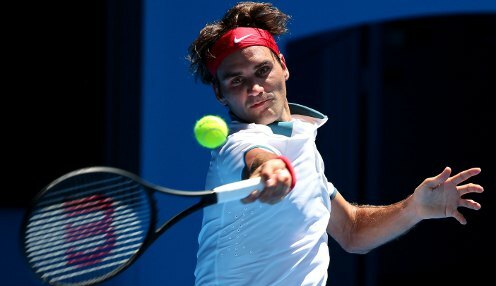 Federer has won two finals out of four this season – in Dubai and Halle – while Tsonga has lost his only final so far in 2014, which was in Marseille six months ago. Tsonga is the man in form though, having defeated both Novak Djokovic and Andy Murray on the way to the showpiece match in Canada. Speaking ahead of the Federer encounter, he admitted he was confident. He said: "I'm more consistent and it's good because it [helped] me beat three guys in the top 10. "I didn't do that [for a] couple of years now and it gives me hope for the rest of the year." Despite Tsonga's good form, Federer has the edge in the head-to-heads, having won 11 of their 15 matches, including the last two encounters at the Australian Open and Monte Carlo Masters. Federer is 1/1 to win the final in Toronto, with Tsonga 1/1. Both players will hope to win to build momentum ahead of the final Grand Slam of the season, the US Open, which starts in two weeks. Federer is 1/1 to win his 18th Grand Slam in New York, with Tsonga 1/1.